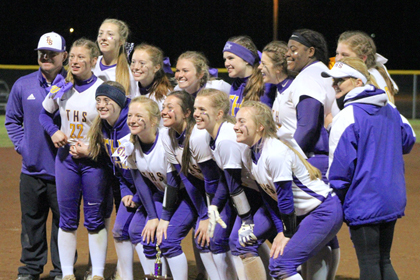 Tallassee's varsity and junior varsity softball teams went 9-2 collectively over the weekend bringing home some hardware. The JV Tigers won the Reeltown JV Tournament. The varisty girls were runners-up in the PCA Tournament at Prattville Christian. The varsity Tigers romped through the field to the championship before losing to PCA for the second time this season. Tallassee beat Billingsley 13-0, New Hope 14-1, Catholic 6-0, Marbury 7-5 and Southside Gadsden 11-10. The game with Southside went nine innings with the international tiebreaker determining the outcome. Prattville Christian took the title with a 4-0 win over THS. Chloe Baynes had 14 singles and scored 11 runs in the tourney. She stole 13 bases. Belle Haynes added 4 singles, 2 doubles, a triple and a homerun with 9 RBIs and 4 stolen bases. Lexi Love had 4 singles, a double, a triple, and 2 homers with 10 RBIs, 8 runs scored and 3 stolen bases. Avary Lumpkin had 7 singles with 4 runs scored. Jordan Walters hit 2 singles, 3 doubles and scored 6 runs. Sinclair Cole had 3 doubles, 3 homeruns, 9 RBIs and 8 runs scored. Madelyn Martin also had 3 singles, a double and 6 RBIs. Tallassee pitcher Jordan Walters was 2-1 in the tournament. Sinclair Cole went 3-0. Chloe Baynes surpassed 100 straight stolen bases over the weekend. The streak stopped at 115 when she was tagged out attempting to steal third in a game vs. Auburn on Monday. The junior varsity Tigers put in a long day on Saturday starting early and finishing just before midnight in Reeltown. Tallassee beat the host Reeltown in the championship, 4-3 in extra innings. The JV girls topped Elmore County 5-1 then lost to Beauregard 9-4. 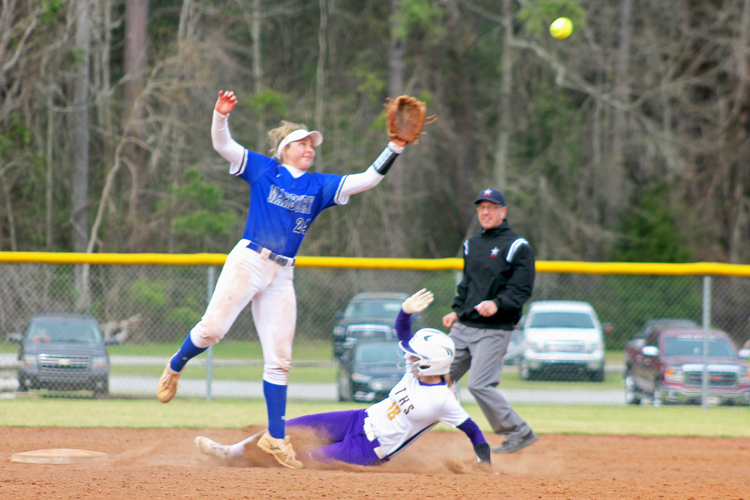 They beat Elmore County again 4-3 and avenged the earlier setback against Beauregard with a 9-5 win. Abbie Davis had 2 doubles and 5 RBIs on Saturday. Marlee Stewart had 5 hits with 4 RBIs. Brooke Royster added 2 doubles and a triple with 3 RBIs. Kirsten Collier also had 2 doubles. Ciarra Bice had a double and hit her first homerun. The varsity Tigers are 18-3 and debuted at No. 8 in the ASWA Class 5A poll last week. The JV girls are 14-4 on the season. Both teams will make up games vs. Auburn at Southside Field on Monday beginning at 4:30 with junior varsity game followed by the varsity matchup at 6.